Known originally as the "Hall of Commerce" the bond store was built between 1858 and 1859 by a local builder, W Moore for the importers Morgan and Mackintosh to replace an earlier timber building on the site. As with other importing businesses at the port of Echuca, it was established to take advantage of the low import duty imposed in South Australia. 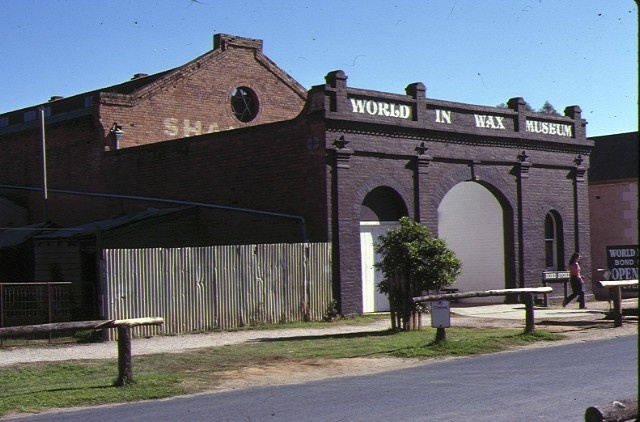 In 1865 it was purchased by McCulloch and Co., carrying agents, and converted to a bonded store and, in 1867, was purchased by Shackell White and Co.
James Shackell (born 1833 at Bath) arrived in Victoria in 1852 and established himself as a gold buyer on the Ovens goldfields. Following a return trip to England he set up business as a stock and station agent at Beechworth, Forbes and, finally, Echuca in 1863. In 1883 he was elected as a MLA and served as mayor of Echuca for four years. The original building is a large face brick gabled warehouse with a central roof lantern and two large arched doorways at each end. 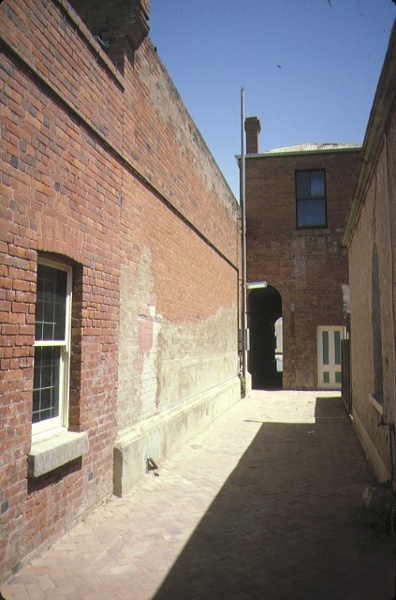 In 1867, Shackell constructed a courtyard at the river end of the store with flanking brick offices behind a trabeated facade and rendered the face of the store abutting high street. 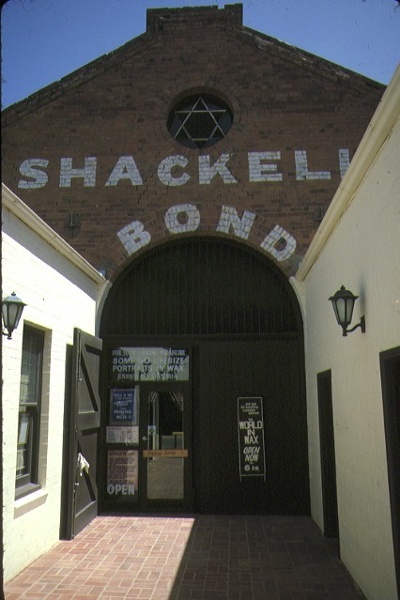 At the same time Shackell constructed the adjacent Star Hotel. 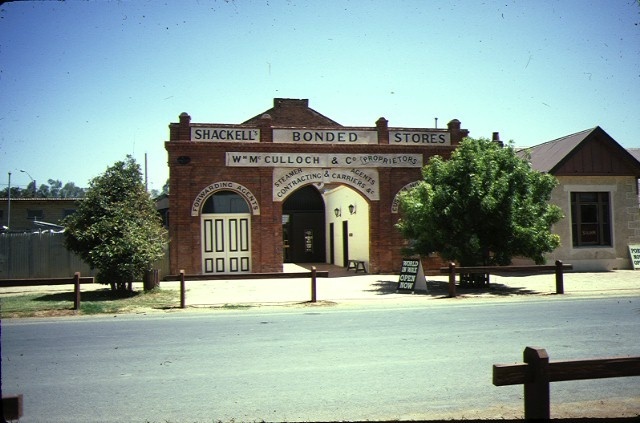 Shackell's Bond Store and the Bridge Hotel, are the oldest surviving buildings remaining in the Port of Echuca. 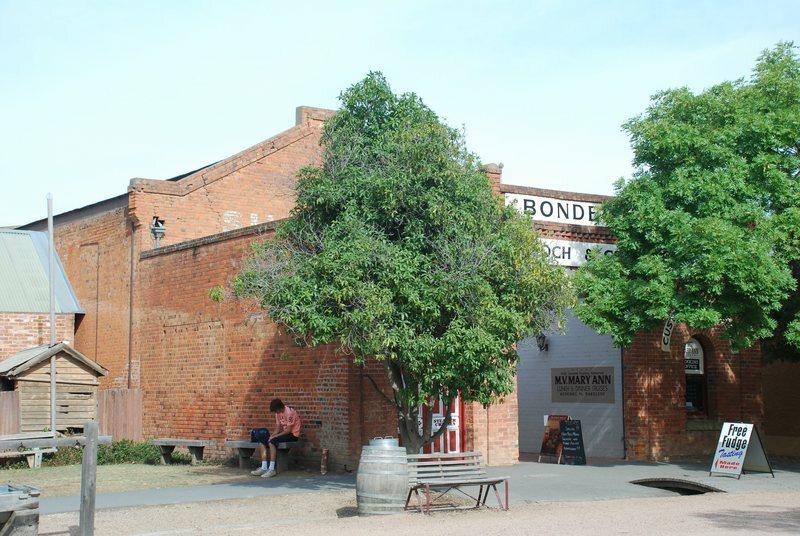 The Store is of historical significance as a survivor of the establishment of trading along the Murray River. The essential form of the building is intact but the interiors have been renovated and the 1867 offices have been sand-blasted externally. Historic Building No. 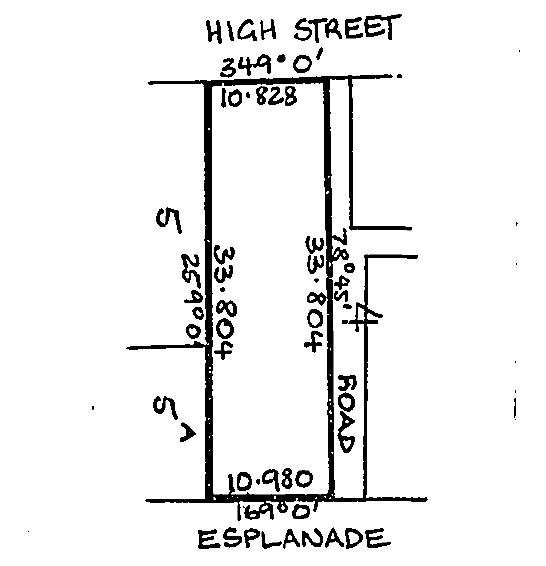 558, Shackell's Bond Store, Murray Esplanade, Echuca (to the extent of the whole of the building and the land entered in the Register Book as Volume 8132 Folio 579).